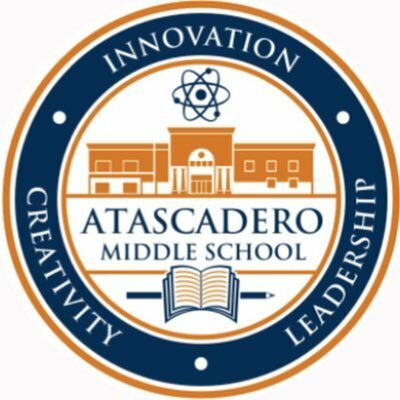 Atascadero Middle School Succeeds with STEM Instruction! 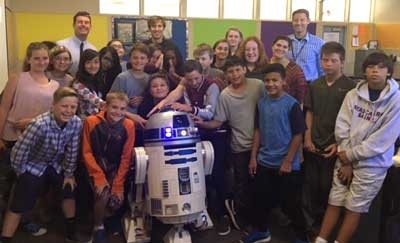 Located in Atascadero, California, Atascadero Middle School recently adopted a model that allows for the creation of many new electives, including engineering and computer science. This guest post was written by Christina DiSanti and Ryan Allison, engineering and computer science teachers at Atascadero Middle School. You can follow AMS @amssaints. Our district has college and career readiness as a part of our graduate profile. Coding is a large piece of future employment for many career pathways. Our district made it a priority to expose students to as many career options as possible and encourage them to build a varied skill set that they can take with them throughout life. Additionally, the logic found in coding is applicable to a plethora of other subjects, such as variable use in mathematics, problem solving skills in engineering, and structures in science. Our district values our STEM elective model so much that they empower teachers with the tools they need to teach coding at a high level. Our site’s STEM elective wheel builds itself over three years, with courses such as engineering, coding, wood-shop design, and digital arts. The district has also been growing a district-wide robotics program. Using Tynker, coding has been a supplemental tool to increase the robotics club effectiveness and participation, due to exposing all students to basic coding concepts. No matter where students’ career paths take them, the fundamentals of coding will be beneficial to their success. The logic found within coding is applicable to any college or career path. If students choose to follow career paths in engineering, computer science, statistics, etc., they have a huge advantage over other students that have not had this exposure to begin to work on these concepts. Our district not only realizes the importance of learning these skills, but also recognizes the importance of utilizing and applying these skills through programs such as our district-wide robotics program. Our district has embraced the 8 Science and Engineering Practices and 8 Mathematical Practices throughout the STEM curriculum, and has even made mathematics a district-wide goal to target. Tynker helps students build understanding of each of these 8 practices and helps teachers toward this goal of building the readiness for College and Careers. Our district Graduate Profile specifically includes a component of being a critical thinker. Our graduates are original thinkers. They observe, they wonder, they create, and they have the ability to solve real world problems. Tynker directly targets these skills that we wish to inspire in our students. Students using Tynker get to demonstrate their learning with true creations that they can be proud of. They can have tangible results such as utilizing a working drone. Jeremy McGilligan-Bentin Empowers the Next Generation of Engineers!